This special issue of the journal is dedicated to the memory of the late and much respected Professor Bimal Krishna Matilal to mark the 25th anniversary of his passing. At the time of his death, Matilal held the Spalding Chair of Eastern Religion and Ethics at All Souls College of the Faithful Departed in the University of Oxford, Oxford, UK. In this editorial, we present a brief account1 of Matilal’s background and an example of two of the key insights from Indian philosophy that he believed could contribute to contemporary debates in Western philosophy. Prof Matilal was in conversation with philosophers in Oxford, most notably Peter Strawson, Michael Dummett and Richard Sorabji (who is a contributor to this issue) and was keenly interested in all questions philosophical, and in how they could be addressed using resources from multiple philosophical traditions. 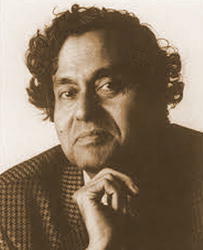 Bimal Matilal was born at Joynagar, West Bengal, India in 1935 and died at Oxford, UK, in June of 1991. He was educated at Islamia College and at Sanskrit College, in Calcutta, and then at the University of Calcutta where he gained the traditional Tarkatīrtha, ‘Master of Dialectic’ degree. He was appointed a lecturer in Sanskrit at Presidency College, Calcutta, in 1957. From 1962 to 1965, he attended Harvard University, studying in main under Daniel Ingalls and W.V.O. Quine. Matilal received his PhD from Harvard for research that led to his influential book, Navya-Nyāya Doctrine of Negation (1968). He was a Professor of Sanskrit at the University of Toronto from 1965 to 1976. During his tenure at Toronto, Matilal held visiting appointments at the University of Pennsylvania and the School of Oriental and African Studies at the University of London. He was the founding editor of the Journal of Indian Philosophy, which began publication in 1970. In 1976, he was appointed as Spalding Professor of Eastern Religion and Ethics in the University of Oxford, and Fellow of All Souls. In 1983–1984, he was visiting professor in the University of Chicago and declined appointment to its Chair of Sanskrit. Matilal was a leading exponent of Indian logic and epistemology as well as an analyst of the role of philosophy in classical Indian society. He took as part of his intellectual mission the correction of Western perceptions of Indian philosophy, the advancement of attention to classical and modern Indian philosophy and an examination of the confluence of currents of thought that had informed recent Indian philosophers. His philosophy drew on grammatical literature, the epics, dharmaśāstras, medical literature, poetics and literary criticism. One of his last works, Epics and Ethics (2000), sought to uncover the dynamic moral theorizing implicit in the epics, The Rāmāyaṇa and The Mahābhārata. Matilal’s eclectic approach to philosophy was motivated by deep intellectual commitments. He believed that a comprehensive study of literature is necessary in order to understand the dynamics of a culture’s intellectual development and its fundamental philosophical commitments. He also believed deeply that philosophical cultures could neither be understood ahistorically nor in isolation from one another. Prior to Matilal’s influence, Indian philosophy had been most often misconstrued in the West as being predominantly spiritual, mystical and intuitive. Matilal undermined this Orientalist prejudice by systematically developing a rigorous dialogue between European and Indian philosophy drawing both on classical and modern literature. He believed that by relating current thinking to tradition, new insights could be developed from the epistemés of the indigenous systems and that contemporary reflection could lead us to a deeper understanding of those classical systems. An example of this is the epistemology of testimony, where the extensive Indian discussions have a real prospect of informing contemporary debates. 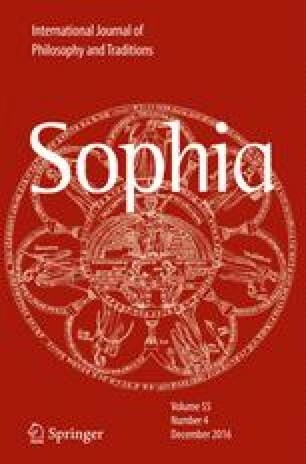 A co-edited book, Knowing From Words (1994), and writings of his students and scholars he mentored on Śabda-Pramāṇa are impressive illustrations of the sort of philosophical ‘interconnecting’ Matilal worked to provide. Another example is his defence of a form of direct realism in his seminal work, Perception (1986). The realist Nyāya philosophers assert that we in fact see the objects we take ourselves to see as opposed to properties, surfaces, sensations, etc. The Nyāya philosophers also argued that those objects exist by having parts without being merely the sum of their parts, and that they fall into objective, natural categories. They argued that the parts and properties of an object may well feature in the explanation of our coming to see it, but the thesis denies that the parts or properties of the object can enter into the explanation only if they themselves become entities of perceptual awareness. If this is correct, Matilal points out, then the move typically made by the Buddhist phenomenalists, that the percept (ālambana) in perceptual awareness must be unstructured and immediately given is blocked. This leads to what Matilal claims the hardest problem for the Nyāya realist: if phenomenal entities like sense data have no explanatory role in perception, how do we account for such (apparently purely phenomenal) illusions as seeing the blue dome of the sky, a rainbow or a circular disk as elliptical? Matilal’s defence of this theory is anchored on the unique formulation of objectivity. To be objective, he argued, is to be independent of minds. Being ‘mind-dependent,’ however, need not mean being a private, intentional object in the way that sense data and other purely phenomenal entities are. It can mean simply having a mental event as a causal condition, an event on whose continuing existence the object depends. Although illusory, the blueness of the sky and the ellipticality of the disk are objective at least in the sense that they are not purely private objects of sensation but are produced and shared by the perception of any observer located in the appropriate position. This is a softer realism than that to which sceptics are committed, according to which objects can exist independently of anyone’s capacity to know they exist. Matilal was a rare kind of thinker, a philosopher of profound sensibility who embodied East and West in balanced proportions and who demonstrated that Indian thought, even in its most metaphysical and soteriological concerns, was rigorously analytical and logical as well as discursive. His work has found broad endorsement and inspired lively debate not only among many contemporary Indian philosophers and Indologists, but also in international philosophical circles. Excerpted from P. Bilimoria and J N Mohanty in The Dictionary of the Twentieth Century British Philosophers, Thoemmes Continuum, England, 2005: 666–67.